Mike is the prime creator of the Mango Bay sound. 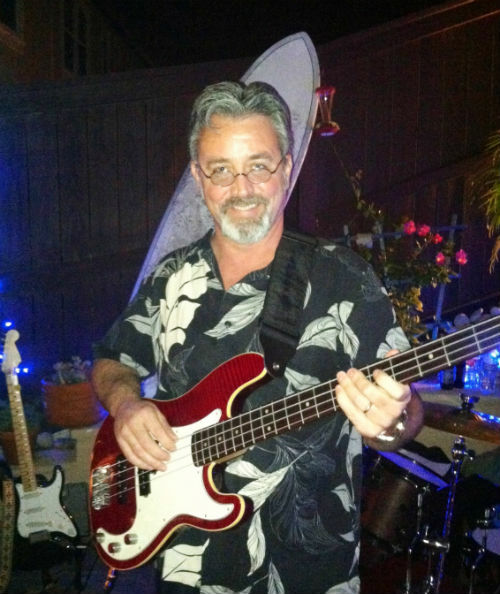 A devoted fan of the Chris Isaac sound, Mike loves to play music that brings him back to the tropics. Also known in music circles as "WhammyBar" and "Mango Mike". You can tell why when you listen to the whammybar surf sound of Mike's guitar. 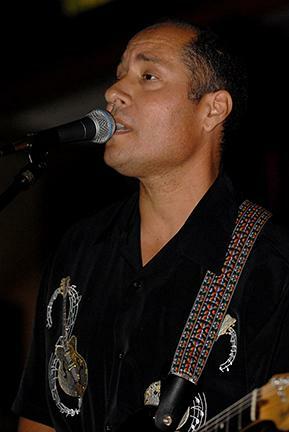 Mike is the songwriter of these Mango Bay hits - "Maganda Bay", "Caribbean Cruise", "Surf Boogie", "Spanish Chazz", "Elegance in 'D'" and others. 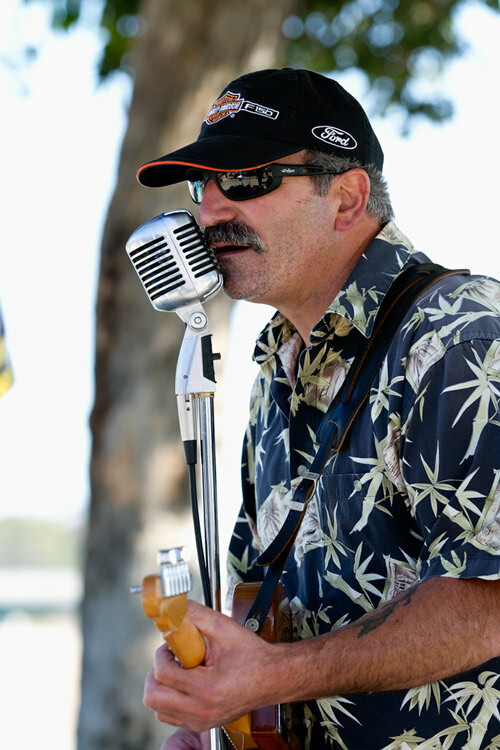 Mike also hosts and plays in Open Blues Jams all over San Diego. Jimi has the finest equipment anywhere. He can do it all from Reggae to Rock and Blues to Ballads (just please don't ask him to do Rap.....!). 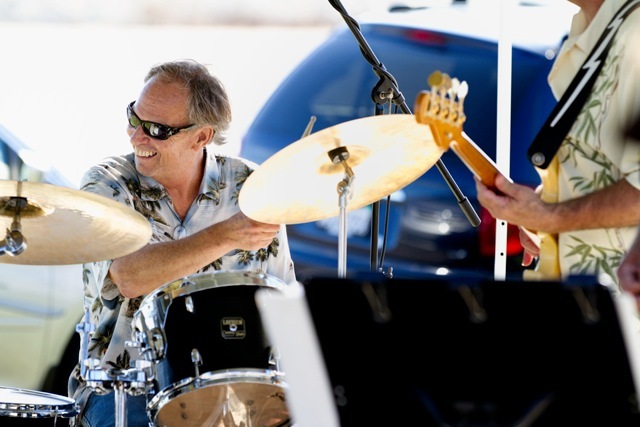 The co-founder of the band, along with Mike Flores, but with kids and a busy life, only plays for special events now. 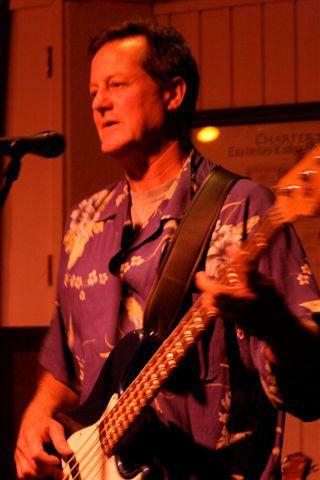 Clif has written many songs over the years and is the author of "La Playa", on the most recent Mango Bay CD. Moving out from Indiana, Scotty hooked up with Mango Mike several years ago and quickly became a Mango Man. Scott brings a whole new sound to the band with so many classic songs. As you can see in the photo, when Scotty's jammin', so is the crowd. Scott has been writing and recording for many years and has a wonderful CD of songs to his credit. 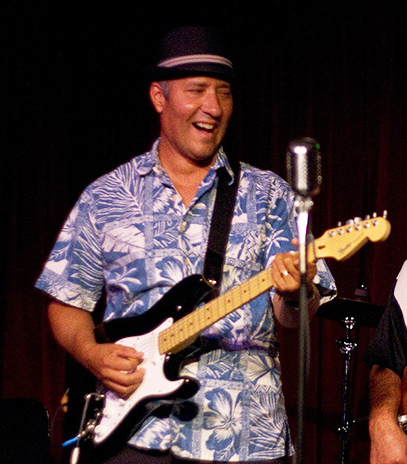 Ralph is a super musician who gives the band a steady beat and a Cuban influence. 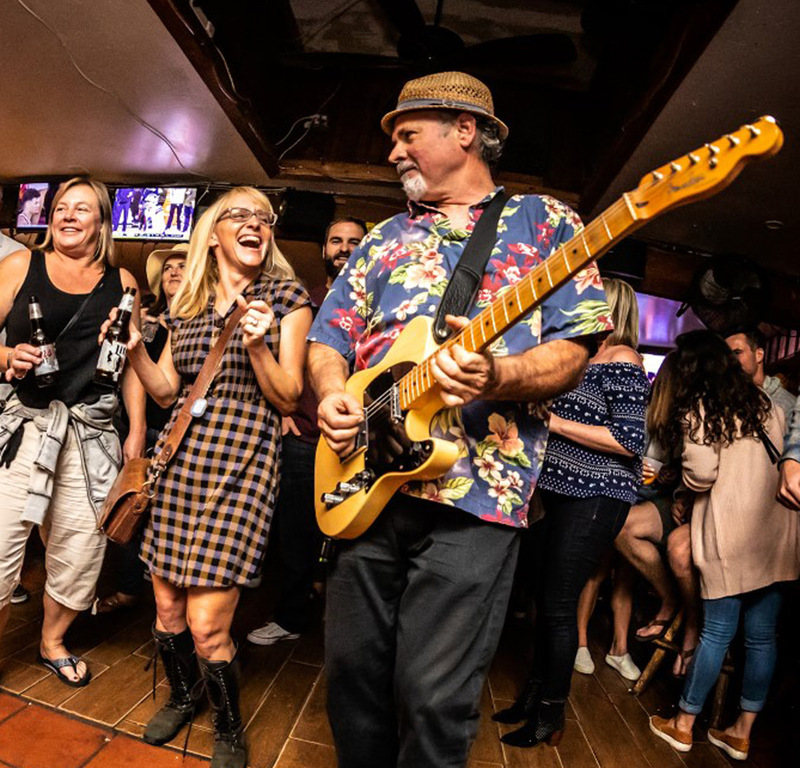 Ralph is the former owner of a wonderful Cuban restaurant and a band-leader of San Diego bands for years. 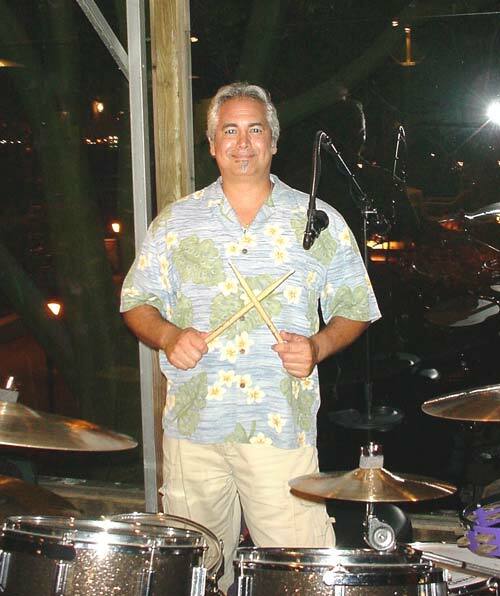 Robert has been in music since the age of 8, both formally trained and performance savvy. His interests vary from cold hard blues and rock, to authentic country and bluegrass. He's known to attend even an opera or two. Robert's bass performances are rythmic and steady. Known to be a pocket player musically, he enjoys putting the sway in your dance steps and counting the smiles in the crowd. "It's truly a 'wonderful place' to be able to give such happiness to people with the sounds we are a throwing down...."
In his "daytime endeavors", Robert is a teacher and a practicing Cosmetic & Reconstructive dentist in La Jolla with a beautiful wife and children.